As much as we love high-end flagship, it is certainly not nice for your wallet. After the boom of the internet, the effort to give the internet to the developing countries keeps rising as the demand started to get higher. Even in the US, not everyone is willing to spend $600 on a smartphone. Luckily, the folks on Sprint will now have a new budget-friendly device for its lineup: The Samsung Galaxy Grand Prime. 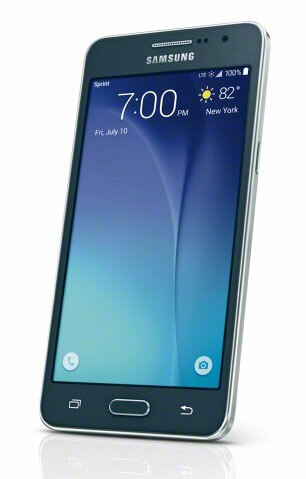 Similar to previous years, this is a more affordable variant of the flagship Samsung Galaxy S6. Spec wise, we are looking at a pure mid-ranger. Bellow the 5-inch qHD display is the Qualcomm Snapdragon 410, clocks at 102 GHz. It features 1GB of RAM, 8GB of built-in storage (expandable via MicroSD slot). In the optic department, we have an 8MP rear camera and 5MP wide-angle front-facer. All of this will be powered by a 2600 mAh battery. You can pick it up starting July 10 for $240 full price, or $30 with a two-year contract. Are you getting one? Share your experience with the device bellow!